Fortino’s are open seven days for you. With Plus card you can save your money, earn points and save again. Catering is easy with them. 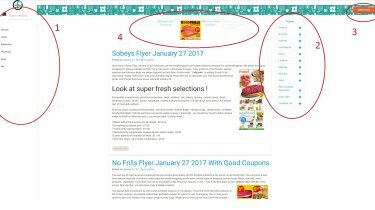 Just check newest Fortino’s flyer and find your favourite catering produce. Selection of them is always fresh. Beer and wine are available in their some stores, soon every stores. Their kitchen varieties are really wide. You can find special recipes and products of a lot countries kitchen. African, British, Chinese, French, Greek, Turkish and more. They collected their flavours in same roof. That’s why you will like this store. You can prepare different meal each day in a week. It’s up to your pleasure. You can view articles, watch videos and check new products of them at their website. 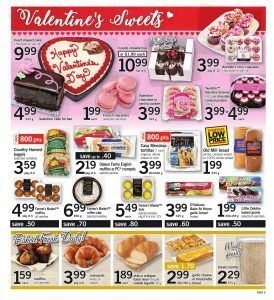 Let’s check Fortino’s Flyer February 8 2017 ! Fortinos including community room that is always active for your questions and ideas. People sharing recipes too. Reach most delicious one and do it yourself at home. They have lowered their prices cause of Valentine’s day for many selected products now! Whole February you can save your money perfectly. Meats, bakeries, beverages, fruits and vegetables are on sale. Also pork’s are certified. You can trust them always. Pork belly, whole or half boneless pork loin and more pork varieties are available in fresh rayon. Particulary, you should focus on cover page featuring many specials for Valentine’s day ! You will come across quite reasonable prices for good looking and quality products. Dozen roses (assorted colours , with greens , 50cm) will draw your attention. You can get this at $24.99 ! In addition , strawberries , asparagus , aggplant , green peppers , beef tenderloin roast and rock lobster tail are on discount now. If you are looking for some of them for your weekly shopping , you should benefit these amazing prices. For more details and information , you should look at cover page.